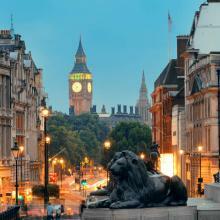 Its location: it is located in the heart of London (Charing Cross is the nearest metro station). Transportation: most night buses depart from this square to reach the different areas of the city. Celebrations: the majority of Spaniards who live there always meet and celebrate the triumphs of their soccer teams in this square. Demonstrations: political and social demonstrations take place in the square , and students tend to be the ones who most demand their rights from the plaza. 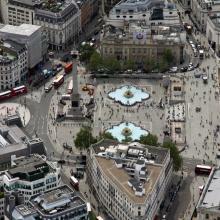 Point of origin: Trafalgar Square is considered the key point to measure distances in London. Tourism: the majority of tourists that arrive until Trafalgar Square are made a photo session with the famous lions of the center of the place, they try to catch with their cameras the 50 meters of the Column of Nelson that there is and take advantage to visit the National Gallery in which are some of the most spectacular paintings in our history. 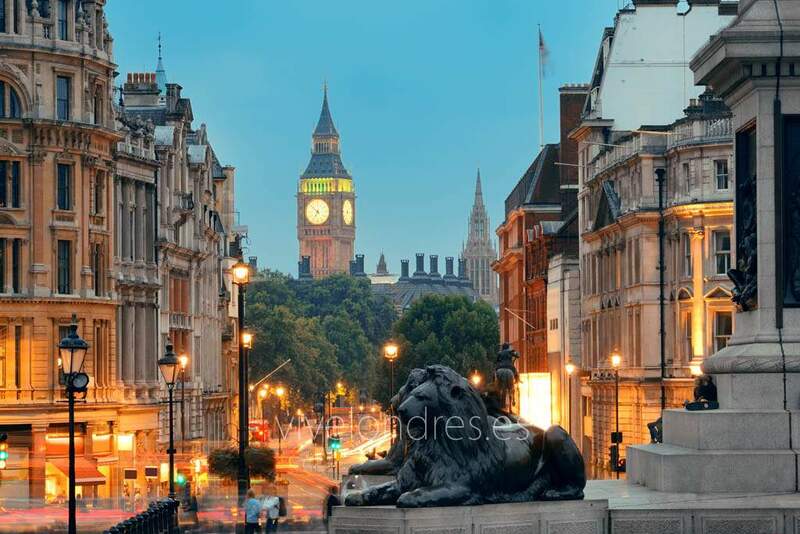 In addition, the fact of being only 400 meters from Piccadilly Circus and the Chinatown district make it a key point for tourism. 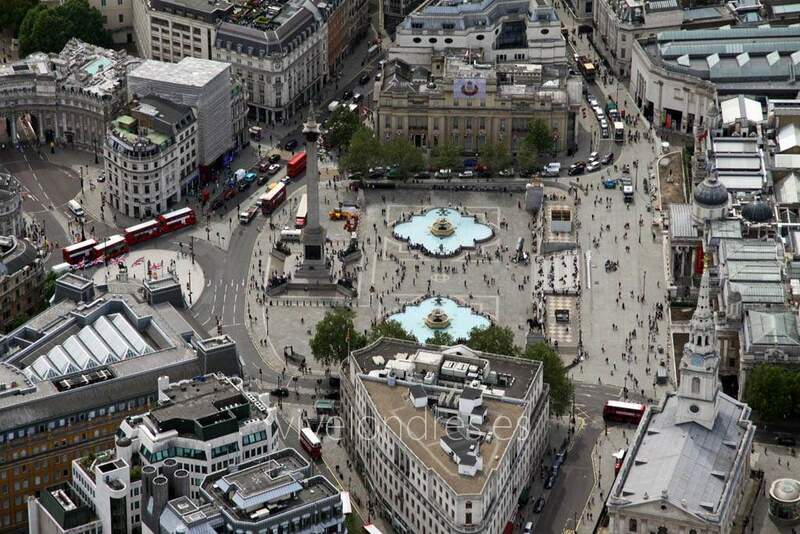 The square of Trafalgar Square was created in the year 1830 as a result of the victory of the British Navy over the Spanish and the French that took place during the Battle of Trafalgar , hence its name. It was not finished until 1845 and it was thanks to the architect Charles Barry. One of the key points of the square is the famous Nelson Column which is located right in the center of Trafalgar Square. This column of almost 50 meters was built to honor Horatio Nelson, an admiral of British origin who died during the Battle of Trafalgar. Around it there are spectacular fountains designed by Edwin Lutyens and you can also see the bronze lions where there are always people up to take pictures. By the way, this bronze was obtained from the foundry of the cannons used by the French fleet during the Battle of Trafalgar. Curious, right? At the back of the square there is also the National Gallery , a gallery-museum with free access where you can see a series of incredible paintings. There are usually enough people, especially in the afternoon. Just before entering the National Gallery you will see two statues representing James II, former king of England, and George Washington, first president of the United States. In short, the whole of the square and everything that represents its architecture is a very important social and political symbol for Londoners and that makes it, irremediably, a place worth visiting for any tourist who comes to the city of London. Knowing the reason of each architectural object means everything better and the visit to Trafalgar Square makes much more sense. You dare?